---In World War II, in which aspectdid Canada contribute more to Allied air effort than any other Commonwealthcountry? A.Provided financial support for pilots and their families. B. Produced 10,000 types ofaircraft parts. C. Built 2,000 fighter planes. ----Who has the right to enter and leave Canada at will? D. Citizens of United States. ----What does Register of Electors contain? A.Personal information of voters which is given to each political party. B. List of Canadian citizensless than 18 years old who are qualified to vote in federal elections andreferendums. C. List of Canadian citizens ofmore than 18 years who are qualified to vote in federal elections andreferendums. D.List of all Canadian citizens who are qualified to vote in federal electionsand referendums. ----What are the provinces of the Atlantic region? A.New Brunswick, Nova Scotia, Ontario and Quebec. B. Nova Scotia, New Brunswick,Prince Edward Island and Quebec. D. Newfoundland, NovaScotia, New Brunswick and Quebec. ---What was the name of the new country formed in Confederation? ---When did thousands of miners first come to Yukon? ---When did the Canadian Charter of Rights and Freedoms become part of the Constitution? ---Why is the British North America Act important in Canadian history? A.It was agreed to by the First Nations and Inuit. B. It was written by the British government. C. The Aboriginal people signedthe act. ---What does equality under the law mean? A.To be like anyone else in Canada. B.To be protected against any discrimination. C. To be discriminated against. D. To be the same as anywhere inthe world. ---When did the United Empire Loyalists come to Canada? The descendants of french colonists. a) How long have you been living in Canada?/When did you first come to Canada? b) What have you been doing since you came to Canada till now? d) Have you been outside of canada? If yes, when and why? e)what's your job? or what do you do to make money? f)are you married? do you have children? g)do you have any problem with police or immigration? h)do you work? what's your job? I)where do you work? location? 56) What will you promise when you take the Oath ofCitizenship? A. Pledge to be allegiance to the Queen. B. Pledge loyalty to the Queen, observe the laws and fulfill theduties of a Canadian. C. Promise to obey the Constitution of Canada. 57) What is the name of the leader of the Official Opposition atthe federal level? 58) Which two fundamental freedoms are protected by the CanadianCharter of Rights and Freedoms? A. Basic living rights and obey laws. B. Equal employment rights and opportunities. C. Aboriginal peoples' rights and to volunteer. D. Freedom of belief and freedom of religion. 59) What should you do if you do not receivea voter information card before anelection? A. Call the police for help. B. Give up your right to vote. C. Tell the Member of Parliament in your riding. 60) Which two provinces are on the Atlantic coast ofCanada? A. Nova Scotia and New Brunswick. B. Newfoundland and British Columbia. C. Prince Edward Island and Ontario. D. British Columbia and Yukon. 81) From whom are the Acadians descended? A. First Nations who began settling in what are now thePrairie provinces in 1600s. B. British colonists who began settling in what are now the Maritimeprovinces in 1604. C. French colonists who began settling in what are now the Maritime provinces in 1604. 82) What country is Canada's largest trading partner? 83) What is the significance of the Quebec Act of 1774? A. Separate the Province of Quebec from Upper Canada. B. It made the conferation of Canada legal. C. Canada's tolerance of religious traditions underthe law. D. It demostrated the principal of 'Peace, Order and Good Government'. 84) Which of the followings are the responsibilities of federal government? A. Education, foreign policy, recycling programs andaboriginal affairs. B. National defence, foreign policy, international trade andaboriginal affairs. C. Highways, policing, international trade and criminal justice. D. National defence, health care, international trade and aboriginalaffairs. 85) Who recommended that the Upper and Lower Canada be merged and given a responsible government? D. Sir Louis-Hippolyte La Fontaine. 21) Which province is Canada's main producer of pulp and paper? 22) What does "mobility rights" mean? A. Being able to have freedom of speech. B. Being able to have a job in any provinces. C. Being able to live and work anywhere in Canada. D. Being able to work and move. 23) Which province is the only officially bilingual province? 24) Which two provinces produce more than three-quarters ofCanadian manufactured goods? D. British Columbia and Ontario. 25) What is a Cabinet Minister? A. MP selected by the Queen to make laws. B. MP selected by the Prime Minister to run federal departments. C. MP picked by the Premier of each province. D. Candidate picked by the Prime Minister. 61) Which province is the biggest producer of metals in Canada? 62) In which parts of Canada did the Aboriginal peoples first live? A. The North and Great Lakesregions. C. The Prairies and the North. D. The Great Lakes regions and Prairies. 63) Which of the followings are the founding people of Canada? A. French, American and Indian. B. Aboriginal, French and British. C. Inuit, French and British. D. British, Asian and Aboriginal. 64) Which province is Canada's major producer of oil and gas? 65) What is the tower in the centre of the Parliament buildings called? 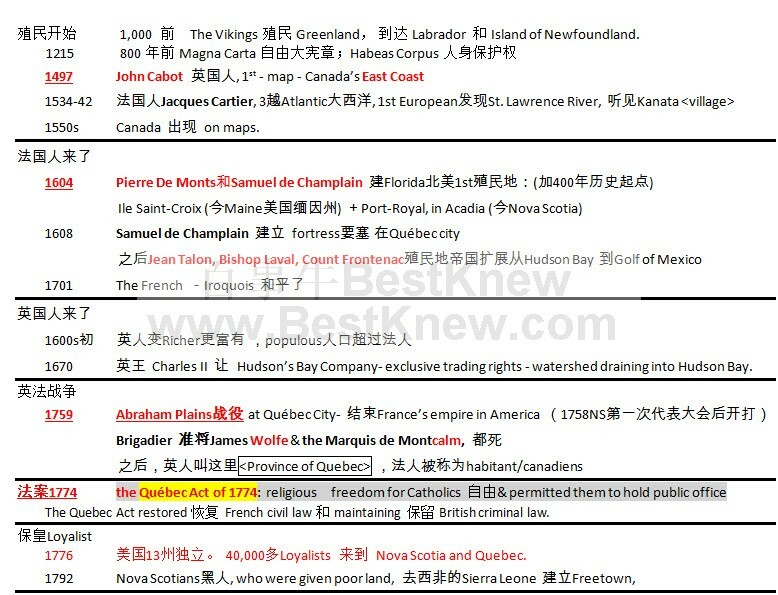 第四个答案是:the British built the citadels at Halifax and Quebec City as well as Fort Henry in Kingston..
我今天做的题大部分都和你相同，我是no.7 考卷。第六题我和你选的一样，但我想我应该选错了，书上写的是federal state;还有第五题，我选了grain and oilseed. 4.Which of the following symbolizes close ties between Canada and the U.S.? (The Peace Arch in Blaine, Washington). Here are my test questions. note that i can't remember exact wording for the questions but will try my best. 5. what is mean by volunteering? 9.What do we remember on Nov 11? 10. Who is the greatest Canadian hockey player? 11.who elect house of commons? 12. Who selects the cabinet ministers? 13. who is the head of government? 14. who can vote on election day? 15. what can you do if you do not wish to vote on election day? 16. who enforce the laws? 17.which flag serve as Canadian flag for 100 yrs? 18.The highest honour to Canadians? 20.Which region is call the "land of the midnight sun"? What significance did the War of 1812 have on Canada? C. U.S.A invaded Canada and was defeated, ensuring Canada would remain independent of the U.S.A.
What UN operation did Canada participate in from 1950 to 1953? What happened to Quebecois in 2006? 2.Which part of the parliament buildings were destroyed by fire? 3.What was the significance of the battle of Vimy Ridge? 4.What was the role of Chief Tecumseh and General Isaac Brock? 5.What was the importance of the Canadian Pacific Railway? 6.Who were Penfield, Bombardier and Bell? 7.Which war did Canadians fight in from 1950 to 1953? GMT+8, 2019-4-20 22:58 , Processed in 0.023220 second(s), 21 queries .